Elegant curved form created by a few skilled craftsmen only. 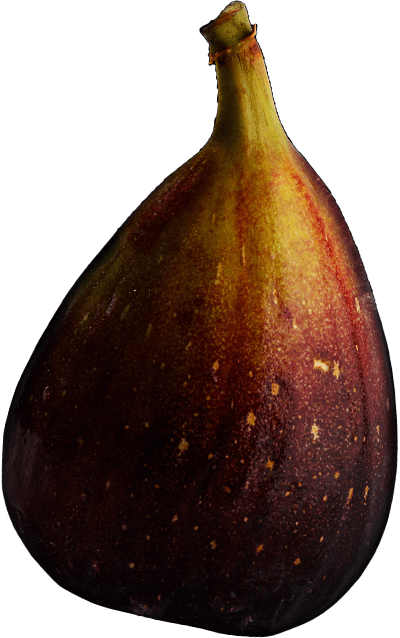 We proudly present GROSS WALT's "Figue" whose meaning is "fig" in French, one of the luxury line "Berceau" series. 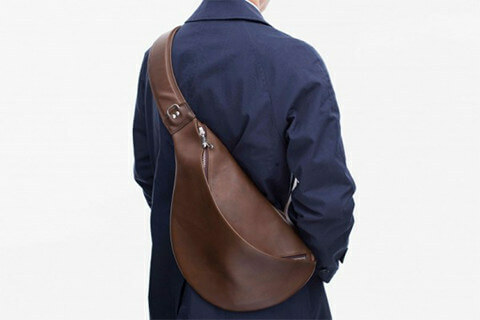 This single strap backpack with a motif of fertility goes well with both casual and jacket styles. 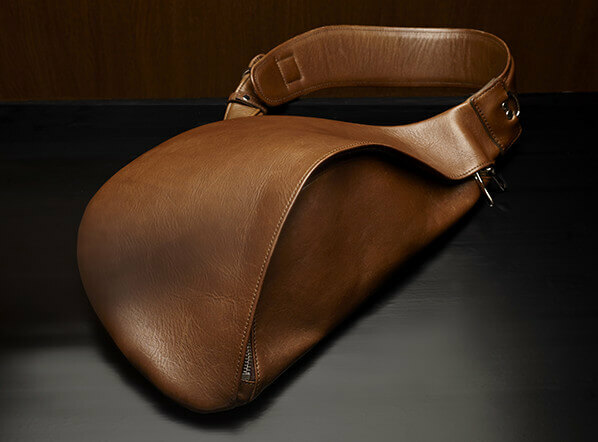 It's made of special leathers tanned by vegetable tannin, and its curved shape looks just like a fig itself. Its unique and elaborate shape fits your body as if it clings. You can feel the warmth of the skillful craftsmen who have worked for more than half a century if you use it for a long time. 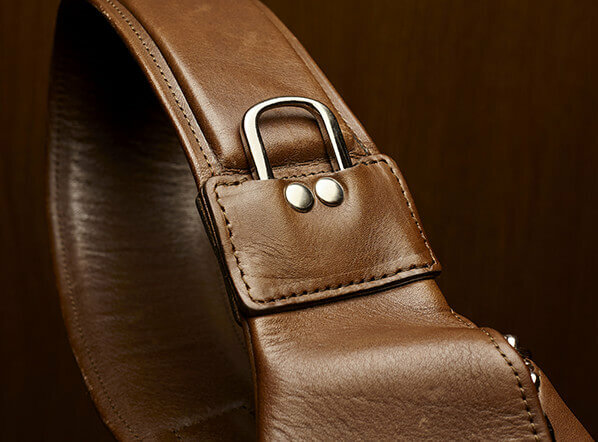 Only a few skilled craftsmen in our workshop can create the excellent curved form with domestic genuine leathers, so we cannot produce them on a large scale. We kindly ask for your understanding of the limitation on quantity. 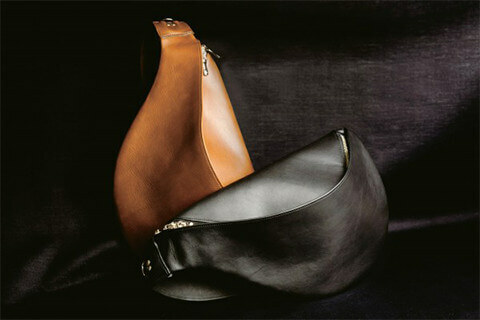 Characterized by an elegant curved form of vegetable-tanned leather. 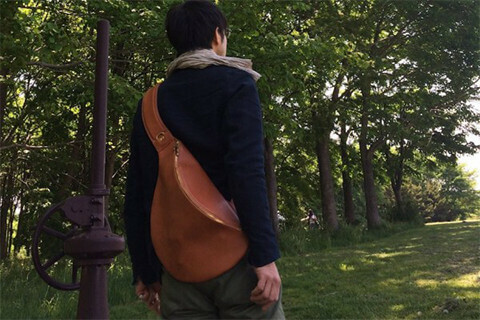 This backpack will change and mature according to the owner's lifestyle, and will be a lifetime partner. Unique form not only for its character, but also for the capacity larger than imagined. 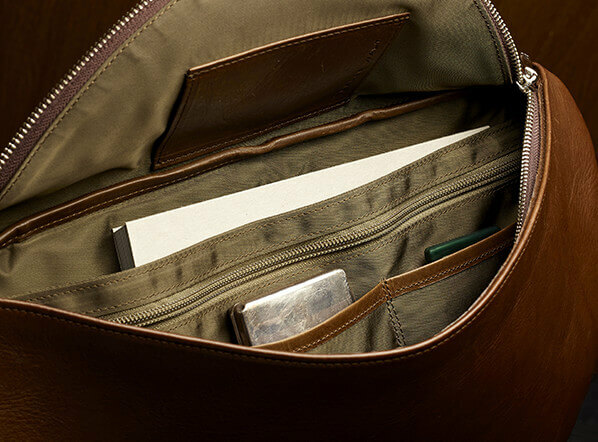 Bound with leathers, and two divided pockets are convenient for holding keys and accessories separately. 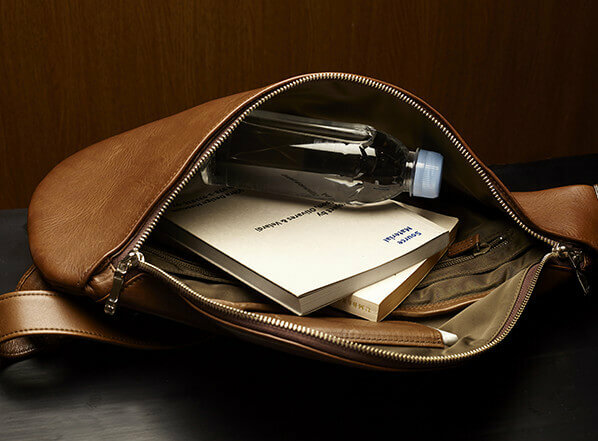 Useful for carrying pens, smartphones, pass case and so on. 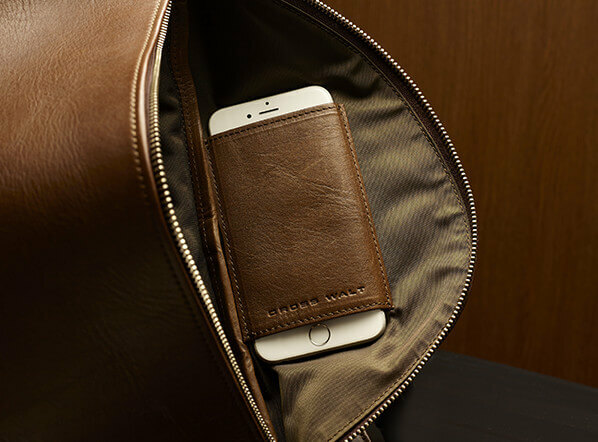 Equipped with a square hook which can be pulled out on hanging the backpack. It's useful for preventing its body or belt from getting out of shape. Capable of using for multiple purposes. It's large enough to keep books or tablet PC inside. Long ago, how were bags made? At that time, there were no such material as strong adhesives, chemical dyes, polyester and so on, but such old bags have retained their original form for more than a hundred years. They have overwhelming presence, "something beyond reason" which cannot be found in modern mass-produced bags. GROSS WALT pursues the bags made with the techniques accumulated from old times, not a frivolous modern bag. 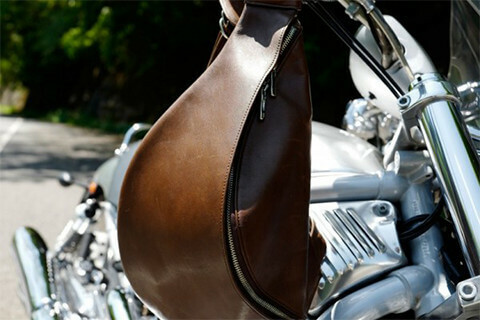 Our bags are made of the highest grade domestic genuine leathers which need so many processes. They are fascinating for their coloring, texture, especially aging process with more frequent use. 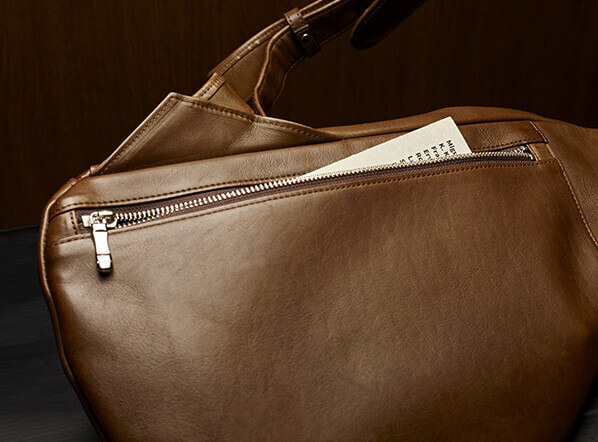 Our skilled craftsmen, who have worked for more than 70 years, sew the bags by hand (without using synthetic resin adhesive), using leathers made with the traditional techniques of the 1200s. The latest item is designed with cracking process, expressing "used hipness". It shows two faces, Figue's unique curved one, and "Sauvage (wild)" one with cracking process. Diffrent, brand new value of Figue. *Note: cracking process is liable to tear your wear such as high gauge knit, so please handle with care in such case. Special giveaway only for the purchasers at our web store. If you buy items at our web store, you'll get a limited leather shoehorn(3,780yen (incl.tax)) FOR FREE. "Would be great if we had a fine, thin and elastic Shoehorn..." We always wonder what is the best answers to meet the needs of the peolple such as travelling around the world. So, this shoehorn is one of our answer to them. It's elastic and easy to carry, and also you can enjoy its aging process like color change to amber. © 2016 GROSS WALT Inc. All rights reserved.